Scarista House is one of the most beautiful and remote places to stay in Britain, with lovely views of the Atlantic Ocean, heather-covered mountains, and a three-mile long sandy beach. There has been a tradition of hospitality at Scarista House for a couple of hundred years. In former times the minister who lived in this Georgian manse, now a Grade B listed building, would have played host to visiting members of his congregation; now it is a comfortable small hotel where guests can enjoy traditional comfort in well-furnished guest rooms, open fires in the sitting rooms and natural, skilled cooking and good wines in the dining room. 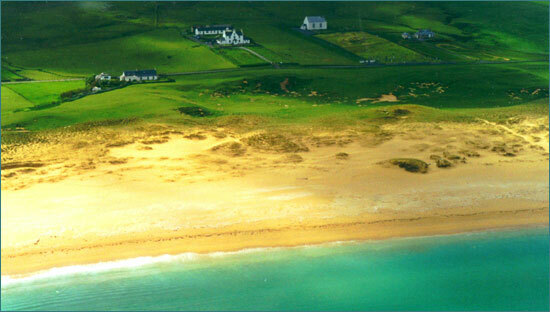 Scarista House is owned by Neil King, Patricia Martin and Tim Martin and is run by the proprietors, Tim and Patricia Martin.